“Relief of Vienna” playing cards issued on the occasion of the three hundredth anniversary of the raising of the siege of that city, by Polish forces, from the invading Ottoman forces in 1683. The colour scheme for each suit reflects the leading personalities of the powers at conflict. 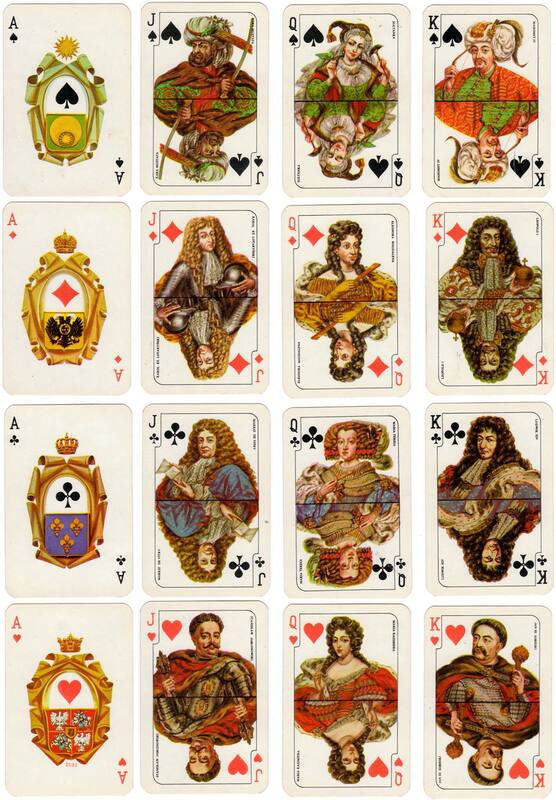 Each Ace has the official emblem of the state concerned: spades = Turkey; diamonds = Austria; clubs = France; hearts = Poland. The design was by Maria Orowska-Gabry, with historical advice from Prof. Stanislaw Nahlik. Manufactured by KZWP, Cracow. 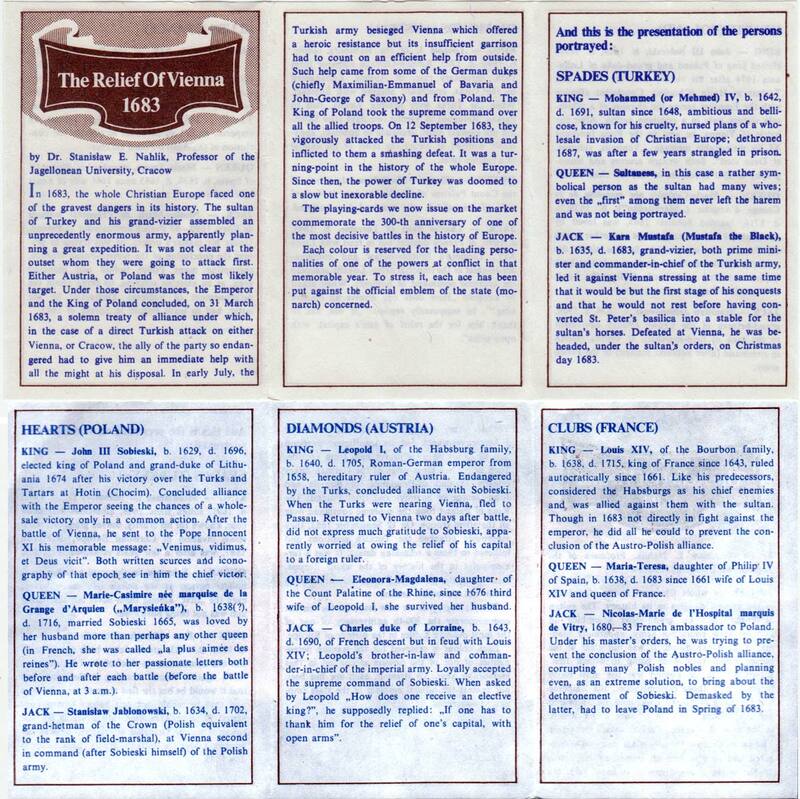 Above: Relief of Vienna tri-centenary pack published by KZWP, Crakow, 1983. Images courtesy Rex Pitts.